The possibility of synthesizing the Ti3AlC2 and Ti2AlC MAX phases by SPS (spark-plasma sintering) consolidation of the charge obtained as a result of mechanoactivation and a charge obtained by HVED (high-voltage electric discharge) of processing titanium and aluminum powders in kerosene has been experimentally studied. The influence of the charge activation method on phase formation and physical properties of consolidated materials is shown. The paper develops a methodology for controlling the spatial characteristics of a ribbon-shaped electron stream by determining the width of the low-energy ribbon-shaped electron stream and its concentration coefficient as a function of the distance of the electron gun to the processing object and the subsequent highly effective adjustment of the electron-optical system of the electron gun with a ribbonshaped stream shape during processing of optical coatings of optoelectronics products. It is established that the dependence of the width of the electron stream and the coefficient of its concentration at different distances from the object are nonlinear. The possibility of controlling the electron stream by adjusting the specific power and the distance to the processed object directly during the processing is shown, which allows qualitatively improving the metrological indexes of the processed articles: increase the accuracy of processing by 3-5%, the convergence of the results – by 15-18%, and also increase the stability of the parameters of the electron stream 1,6-2,1 times. Using an originally developed laboratory controlled air cooling automatic device regimes of controlled fasted normalization of low and middle carbon steel were studied. Significant improving of the steel structure was shown. The proposed technologies of controlled air cooling could be useful for small metal products of middle carbon steels heat treatment as an advanced normalization process. The paper proposes a complex assessment of the post-fire state of steel reinforced concrete structures. It covers a combined usage of mechanical tests (core cutting and testing), non-destructive assessment of concrete strength, indirect physical (ultrasonic) methods and direct physical methods (X-ray structural and differential- thermal analyses). The complex analysis of the results enables one to assess the state of the structure and outline means of its strengthening, thus guaranteeing further flawless operation..
Cu-based shape memory alloys are increasingly used instead of nitinol alloys, due to their low price, good shape memory effect and superelasticity. In this work, Cu-Al-Mn alloys with different content of aluminium were investigated. Alloys were melted in the electric-arc furnace and casted in the cylindrical moulds as well as continuous casted. Microstructure of prepared samples was followed by scanning electron microscopy and phase transformations were determined by DSC analysis. A new technological approach to obtain anti-friction dispersion-hardened by nanoparticles materials based on of TiC – AlC – and FeC alloys with inclusions of the Cn0 (n=6 or 7) phases which characterized by high heat resistance, strength and durability for use in aircraft and rocket technology, is presented. Elemental powders of Al–Ti–С and Fe–Ti–С systems are used as base objects for development of new composite materials by high voltage electric discharge treatment in kerosene (dispersion, activation and synthesis). In effect, as shown micro-Raman data, these systems contain refractory components (fullerenes, carbides), MAX-phases of Ti-Al-C system with increasing thermo-stability, strength and wear resistance while maintaining ductility how can it be predicted. The electrochemical behavior of dimeric tungsten complexes in metaphosphate-containing melts is studied potentiometrically and voltammetrically. The electrodeposition of tungsten and tungsten coatings from halide-oxide and oxide melts and the correlation between the properties of deposits and the conditions of electrolysis are investigated. The application of the selective laser melting (SLM) method requires knowledge of not only the properties of the material after manufacturing, but also after mechanical loading. The aim of this work is to investigate the strain-rate dependence and microstructure of Ti6Al4V samples manufactured by SLM method with different angles to the building platform. SLM Ti-6Al-4V samples were manufactured using the EOSINT M280 (EOS GmbH) at angles of 0°, 30°, 45°, 90° to the building platform. A medicine Ti6Al4V (ASTM grade 23) powder was used for the study. Tensile tests were performed with an Instron test machine using two strain rates 0.5 mm/min and 2 mm/min at room temperature. It was found the strain-rate dependence in the studied samples. 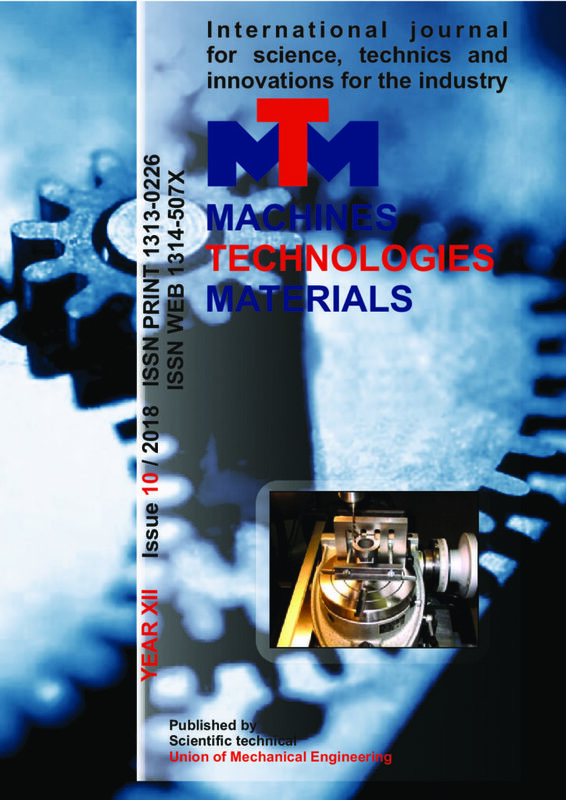 The features of the mechanisms of hardening and softening in an investigated SLM Ti-6Al-V alloy are discussed.